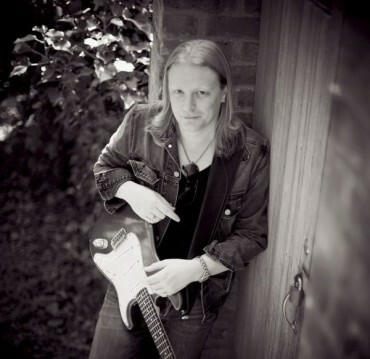 Though he holds a British passport and is an inductee of the British Blues Hall of Fame, Matt Schofield has been making his mark globally as one of the top players in the new class of six string wunderkinds. The Los Angeles Daily News wrote, ‘ In Schofield, the UK has produced the best Blues guitarist from any country in decades… head and shoulders above the herd’, while Guitar & Bass Magazine rated him in the top ten British blues guitarists of all time ranking him with icons Eric Clapton and Peter Green. Born in the industrial city of Manchester and raised amongst the rolling hills and locked in time Cotswolds, Schofield began playing guitar at the age of 12. “My dad relocated to America, but before he left he gave me a BB King video. I watched it before school every day; it was three or four tracks from a concert. Later, when I was in California with my father, he showed me BB King with Albert Collins and Stevie Ray Vaughan on video”. “It was like; I’ve got to do this. There’s something about the way the three of them were jamming. B.B. really was majestic. As an 11-or 12-year-old watching him, I was mesmerized but didn’t think there was any way I could ever do that. It was too special. But when I saw Stevie Ray Vaughan playing with him, I thought maybe I could. Stevie made it seem accessible to people. I taught myself, working my way through my Dad’s great blues record collection. I did my first gig age 13, and I’ve been doing it ever since”. “By age 25 I was starting to explore my own band projects. Although my formative guitar influences are the largely the old school blues players, I never wanted my own music to be constrained by a rigid formula, or even genre. I just want to play ‘Matt Schofield music’. Classic Jazz, funk, soul and rock and all the music I love have all found their way into it. The process of writing and singing has become increasingly important to me, and I feel it’s those other aspects of creativity that helped define my own voice guitar. It’s always been important to find a context for the guitar to be part of, so that it’s not just guitar solos for their own sake. Matt is signed to the Mascot Label Group, which is home to some of the world’s most respected guitarists. The Ridgefield Playhouse in Connecticut, in collaboration with Matt Schofield, is offering an extremely unique opportunity to attend a one hour Guitar Master class prior to Matt’s performance on the March 13th! To learn more and to purchase tickets to the class or performance visit Ridgefield Playhouse website. Check out this pic of Matt visiting “Big Boy Bloater” and Team Rock Radio on Matt’s Twitter page. A Chart is a Chart! Ok, so it’s not the Blues Chart, but it’s pretty darn cool that Matt Schofield’s new album just broke into the UK Indie Album Top 40 chart at #33 this week! Today, GuitarWorld.com is presenting an exclusive premiere of Far As I Can See, the new album by guitarist-singer-songwriter Matt Schofield. Please note the article went to print before all tour dates scheduled; see Artist’s website for more detailed information.